I can’t believe it is the Wednesday night after SWCII already. I am still riding on the high of the weekend. Not only did I get to start a new company this and meet some new friends I also got to geek out too by writing an iPhone application. Ok, let me start back at the beginning. Friday, April 3, 2009 about 130-140 people meet at TechColumbus to pitch ideas for companies and products. There were 73 or so pitches. They ranged from the absurd to the brilliant. Then we voted on which ideas we liked the most. After the cream of ideas rose to the top we formed groups around our favorite ideas. I feel blessed that at the end of the evening I had a great team of six very talented developers and business men excited about implementing one of my two pitches. I have been thinking about this idea for over two years and this weekend gave me the kick in the pants and the team I need to make it real. The team also included three very multi talented and tireless college students that provided major contributions. All three of them would make great interns or employees so if you are looking for some check them out. I want to see this type of talent stay in the Central Ohio market. I did not get any sleep on Friday night because I had so many ideas racing through my mind and I was so excited to get started. Saturday and half of Sunday, we spent building a functional prototype which included an iPhone application and website. We also spent time putting together a business plan and presentation for the final program. During our software and business development efforts we used an agile process called Scrum. We conducted 2 hour iterations and performed a stand up (meeting where you literally stand up to encourage a short meeting in which you answer the three questions of what have you done since the last meeting, what do you plan to accomplish before the next meeting and do you have any road blocks) after each one. We all felt this made us feel extremely productive and increase our communications. It also encouraged accountability and helped us to tack concerns very early before they become problems. We also found Google docs and Google Groups very helpful. With such short timelines, Google docs gave a way of sharing and even simultaneously make changes to spreadsheet, word processing and presentation documents. Google Groups enabled to send communications out to the whole group at one time making sharing information quick and easy. We were also glad we set up subversion repository before we started doing any development. This gave us a convenient way of sharing code and managing the rapid development. I also got to evangelize and make some converts to some of my favorite technologies, Groovy and Grails. 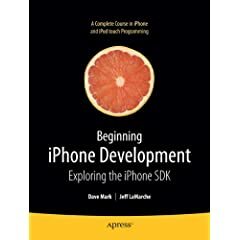 While most of the team had not had the opportunity to work with these technologies before, they picked it up extremely quickly which was great since I was pretty much heads down in iPhone development. I think that is a huge testament to Groovy and Grails. I really don’t think we could have put something together in a weekend using standard Java technologies since just downloading all the projects and getting them configured would have taken an immense amount of the valuable time we had. Finally, we found the book Presentationzen Book an invaluable tool for putting together a compelling presentation. The whole weekend TechColumbus and the sponsors provided a great facility and kept us well fed (when we actually tore ourselves a way from our work to eat) and caffeined which helped provide the perfect condition for productivity. You maybe wondering by now what our company is. Well, I am going to keep you in suspense a little longer. We are hoping to have a beta start within two months. I will post more when that happens. Sounds great. BounceBird? I saw that StartupWeekend posted the 12 ventures. I'm pretty sure that it wasn't F*MyCompany. :) Can't believe that made it. Good luck.